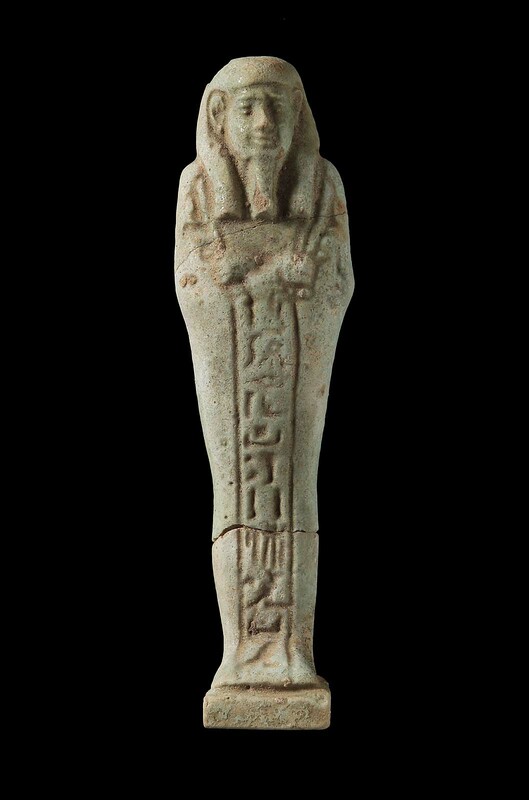 This shawabty is inscribed for Padibastet born of Tadihor. This mummiform shawabty is in the classic Late Period form which is characterized by tripartite wig, long beard, back pillar and base. The figure holds a long-bladed pick on the right shoulder and hoe and cord to a small seed bag on the left. The arms are crossed opposite right over left. 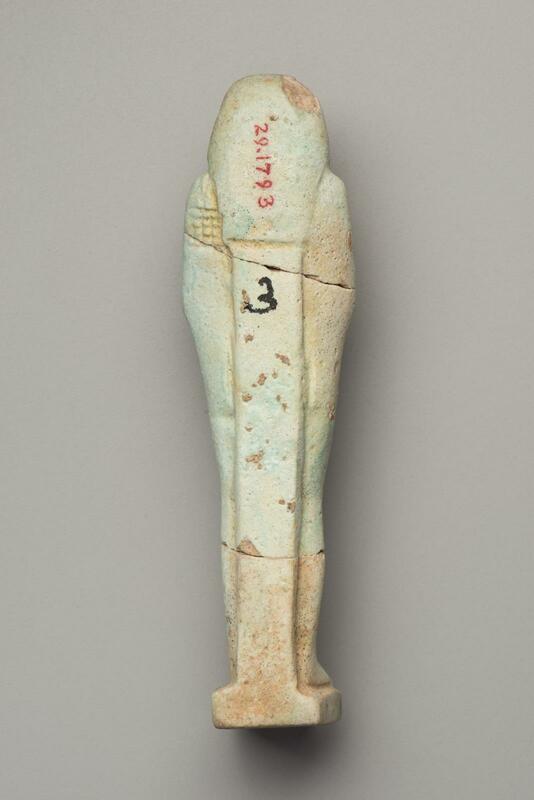 There is one framed column of incised text on the front of the figure. The beard is plaited. The piece was broken in two pieces and is now mended. The head and beard are chipped. 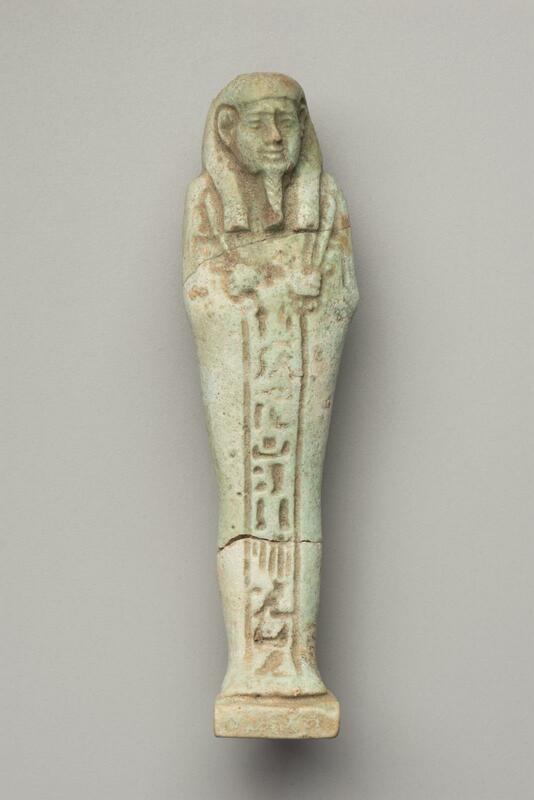 This shawabti is inscribed with one vertical line containing Padibastet’s name and his mother’s name.